The Northern Peninsula Area (NPA) is the area north of the Jardine River. The NPA comprises five indigenous communities - Injinoo, Umagico, Bamaga, New Mapoon, and Seisia. These communities are home to approximately 3,500 Aboriginal and Torres Strait Islanders. Bamaga is the main town of the Northern Peninsula Area, with post office, supermarket, takeaway food, bakery, fuel and government services. About 8km from Bamaga is Seisia, overlooking the Torres Strait, which has camping areas, fuel, supermarket, kiosk and a small industrial area. Ferries depart from Seisia wharf to Thursday Island. There is a choice of accommodation at Bamaga, Seisia, Loyalty Beach and Punsand Bay. Serviced camping grounds are located at Injinoo, Umajico, Seisia, Loyalty Beach and Punsand Bay, and there are also a number of unserviced camp sites in the area. Guided day tours, hire cars and fishing trips are available within the area. There is great fishing in a variety of different environments - fresh and salt water creeks, mangrove estuaries, sandy beaches, rocky headlands and coral fringed islands and several charter fishing companies operate in the NPA. 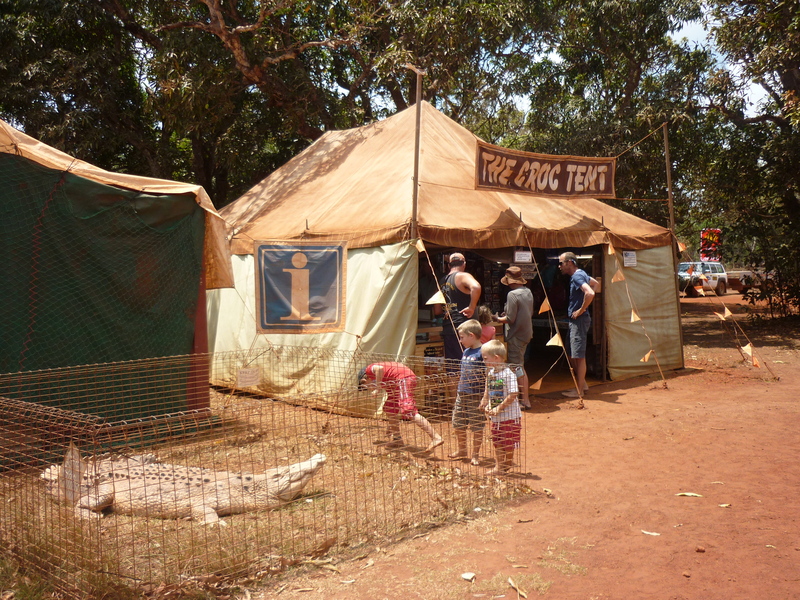 On the way to the Tip don't miss The Croc Tent possibly one of Australia's most unusual souvenir 'tents'. The most northerly point of mainland Australia is at "The Tip". The walk through the rainforest to Frangipani Beach and over the headland takes about 20 minutes.